CMS requires that ALL volunteers register and get approved by the school system in order to be a volunteer at any CMS school. The process is quite simple and takes just a few minutes of your time. To register, please go to www.cmsvolunteers.com and follow the instructions. If you were registered last year, you will still need to renew your registration. 3. Complete form. 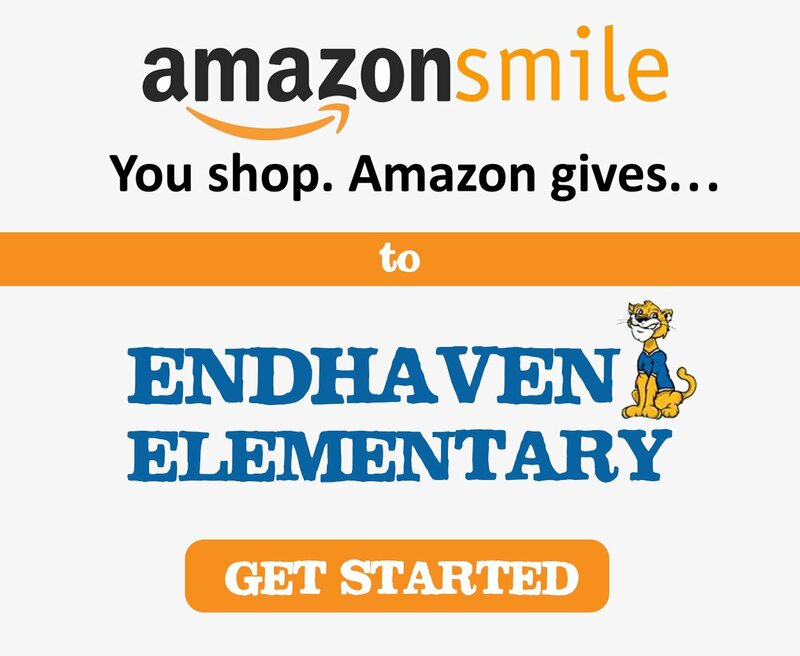 Do not forget to select “Endhaven Elementary” for your school. You should receive an email confirmation within 48 hours. Your clearance will be “Unsupervised without driving.” This allows you to volunteer for any school activity and field trip. Interested in being more involved or do you have questions? Contact PTAEndhaven@gmail.com. 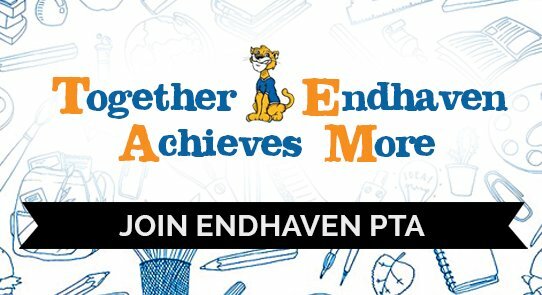 Consider doing the Endhaven PTA! We’d love to have you. Print and complete the registration form and return it to the front office. You can then pay your dues online here. Contact PTAEndhaven@gmail.com to get started. 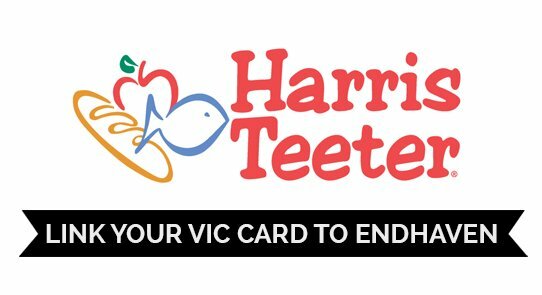 Help coordinate with participating Endhaven Eats Out restaurants. 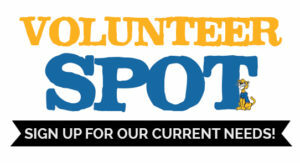 Gather volunteers if necessary. Prepare (or buy) treats for faculty meetings and other staff appreciation events. Work with JA office to gather and communicate with volunteers. Collect all classroom rosters with completed student information, compile into a school directory to be published for our Endhaven families. This is a great task for a computer oriented person who would like to work from home. This job would only require work in the first two months of school! 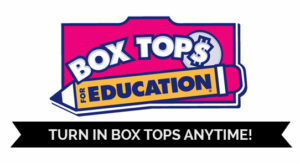 Coordinate, communicate, and assist with collections for Endhaven’s School Partner (Title 1 School- Montclaire Elementary), and brainstorm ideas for better meeting their needs. Communicate with volunteers for PTA events. Help with signupgenius.com sign up opportunities. Primarily email and computer oriented tasks. Work with Art teacher and PTA to send home Art by Me order information, collect orders, and help distribute orders when received. This is a one time commitment during the Art by Me order time. 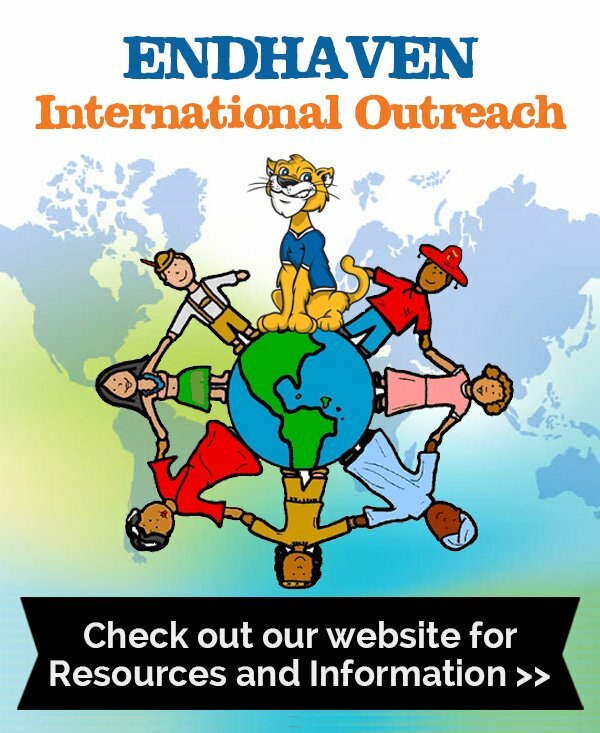 Coordinate/participate in Endhaven clean up days and outdoor landscaping projects to enhance the outside appearance of our school. We would love a TEAM leadership group! Teach monthly character lessons to a class. Teachers ALWAYS need assistance in the classroom (even older grades). Endhaven front office needs assistance answering phones, assisting with students sent to office or nurse’s office, and other organizing/filing tasks to keep the front office organized. Media Center needs volunteers to assist with checking out books, shelving books, and assisting Mrs. Kiger with Media Center tasks. Get on the rotation-Great way to get to know the students! 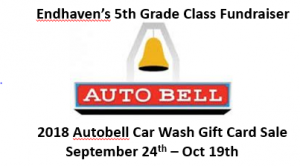 Assist with planning and executing service projects involving Endhaven students. Music, Art, PE, and Science Lab can use assistance during class times, especially during kindergarten classes. Work with a committee to plan special days for staff appreciation week. The following events need volunteers for the planning committee as well as volunteers at the event. 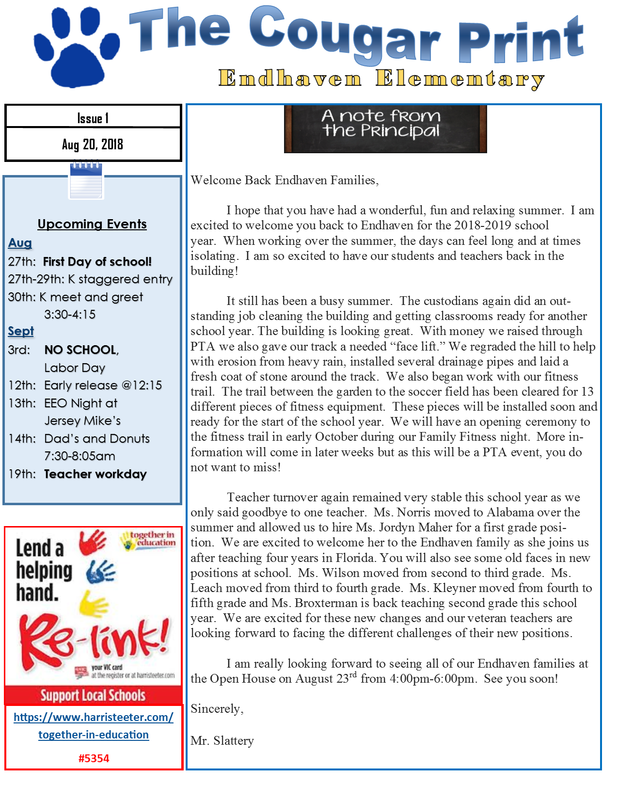 Please look for sign-ups in the newsletter, Facebook or your child’s Thursday folders closer to the event. Visit the calendar for event dates. Interested in planning a great family fitness night? Help gather local fitness gurus to lead our stations (yoga, Zumba, Boot Camp, etc. ), advertise this FREE event, and plan the layout of the evening. This fun family event requires a TEAM approach to help it be a continued success. Planning meetings start in the winter/spring. This event needs planning volunteers and day-of volunteers. Our teachers and faculty are always looking for extra hands. View their list of needs and contact Contact PTAEndhaven@gmail.com to get started.